“Objects of Affection: Shirt” print for your daughter spending hours illustrating, “Super Kvinde” postcard for your super mom living thousands of km away, Raintree.dk pink, handmade, fair trade and upcycled bag for your sister going on a holiday in Thailand, “Skin Food emulsion” for your friend suffering from the hard winter, “So Leaf eye cream” to bring flexibility to your skin and heal your eyes tired of all this online shopping and “Tony Moly blush” again for yourself to put sth a bit of extra. 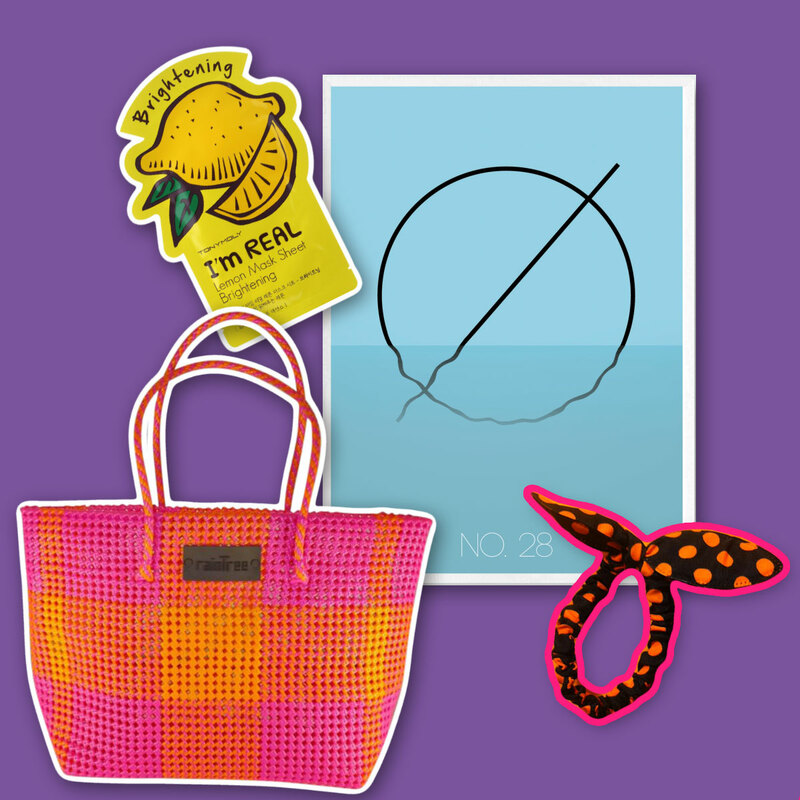 The gift guide of your prayers: print Ø for your friend who votes for Enhedslisten or dreams of living on an island; handmade, fairtrade, recycled plastic bag byRaintree.dk for the bold sister, polkadot hair lastic for your nephew and Tony Moly mask sheet for yourself! 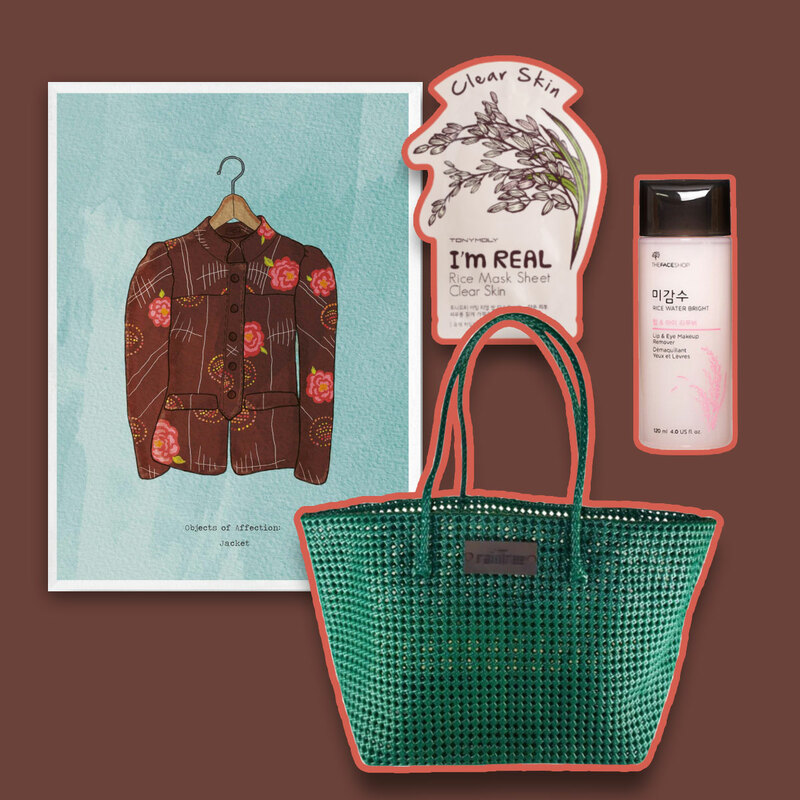 The gift guide of your prayers: the jacket print for vintage loving sister; handmade, fair trade, recycled plastic bag from Raintree.dk for your sustainable mother; the Face Shop makeup remover for the heavy makeup loving friend; Tony Moly rice mask sheet for yourself. 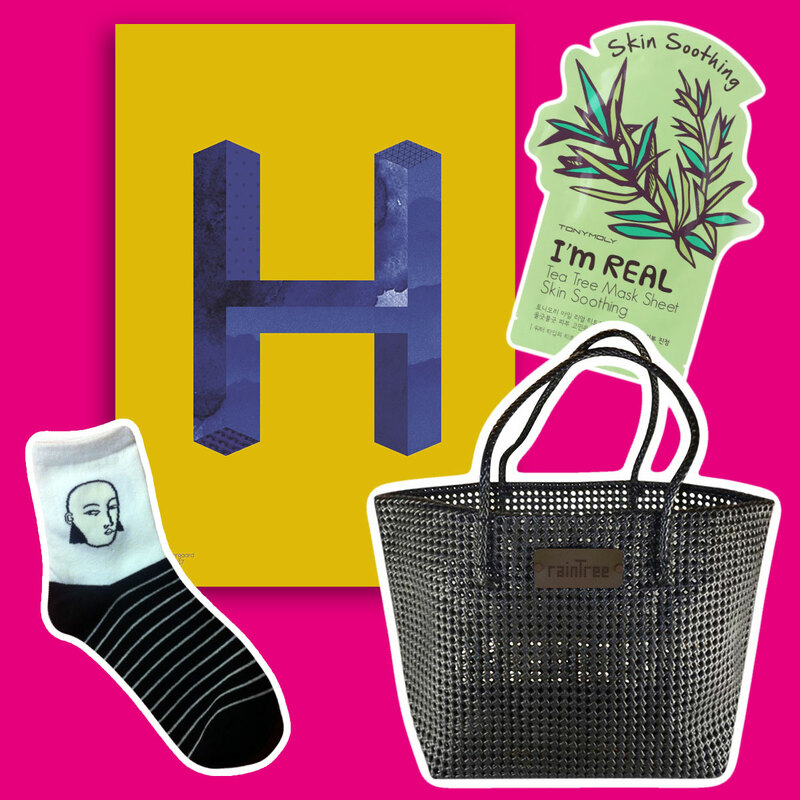 H for Hans, Helle, Halfdan, Henrik or Helene, socks for the funky sister, mask sheet for the stressed colleague, bag for yourself.